Whether your business is new or old, it needs efficient accounting services for growth and sustainability. Having your books in top shape all year round is an achievement that can help your business function smoothly and provide grounds for sound and promising business decisions. – saved resources to run your business successfully. Given the opportunity to work for your promising company, we will prove, with our dedication and high performance, that you have purchased peace of mind in the guise of our professional accounting services. [Client.Company] seeks a full review of their historical financial records and future accounting needs. At the start, our experts carefully review your past records and assess your financial services needs according to the nature of your company and suggest the services model best suited to your requirements. The work plan is finalized only after an initial (and possibly subsequent) extensive consultation with [Client.Company]. Periodic review of our services and client feedback is an essential feature of our work plan which ensures that we remain an efficient accounting partner for your business. Accounting is a function that forms the core of any business. Important business decisions rely heavily upon the financial information at all stages of a project, from planning to execution to finalization. Efficient bookkeeping and financial control ensures the company runs smoothly with an eye for growth. Data, statements and projections are all vital financial figures that a business must have on-hand for sound business performance. Operating as a neutral third party, [Sender.Company] will provide accurate and unbiased data to [Client.Company]. [Sender.Company] offers proven expertise in areas such as bookkeeping accounting, and controller services. Bookkeeping includes the day-to-day business transactions like customer payments, bills, invoices, bill payments, disbursements, and withdrawals. We maintain ledgers for Accounts Receivable, Accounts Payable, and cash accounts and produce daily or weekly reports according to the clients’ preference. Payroll and related activities with tax calculation are also part of our portfolio. Our repertoire also includes preparing periodic reports, financial statements, bank reconciliations and taking care of your general accounting needs. – Contribute towards long term and sustainable success of your business by keeping an eye on the projections and performance with regular appraisals and financial reports. We will keep [Client.Company] apprised at all stages of our accounting procedures with regular reports for [Client.Company]‘s reference and review. All data will be accessible to the client around the clock through dedicated servers using the most modern software and backup facilities. 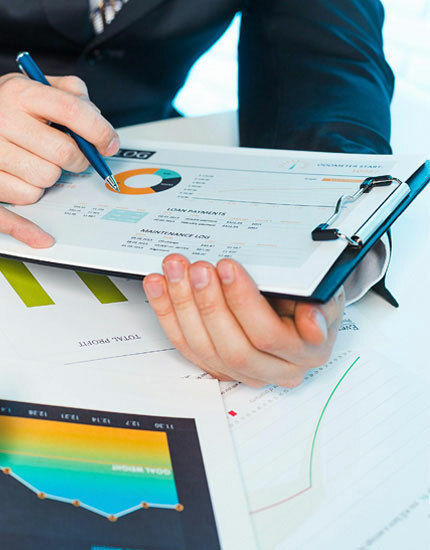 In addition, we also act as business advisors by keeping an eye on the market trends and advising our clients on using the most modern and efficient methods related to accounting and financial reporting. According to a recent estimate, outsourcing accounting work can reduce your business cost by as much as 30%. Hiring a specialist accounting firm like [Sender.Company] will not only lower your business costs but will also provides [Client.Company] with the benefit of an efficient and experienced accountants. At [Sender.Company] we have built a team of financial experts in business with over [Number.Years.Experience] years of combined experience. Our founders came together in [Year.Founded] to start this company in the [Sender.Company.Location] area. As a company, we are recognized for [Specialty] and have been recognized for [Achievements]. Our accounting professionals are highly qualified and specialized accountants working on the most up-to-date accounting software programs available and also continually stay up-to-date on the newest accounting laws. [Sender.Company] uses the most popular accounting software such as MYOB, Oracle, QuickBooks, Quicken and SAP. Below you will find a cost breakdown of [Sender.Company]’s services. This pricing quote is tentative and subject to change based after the initial assessment of the state of [Client.Company]’s bookkeeping records. PandaTip: These are the contract terms between your company and the client’s company. You may want to consult a lawyer for this section in order to make sure your company and your client’s company are both adequately protected. This Accounting Contract (“CONTRACT”) is made and entered into by [Sender.Company], a duly licensed and certified public accounting firm in the State of [State] with its principal place of business located at [Sender.Company.Address], and [Client.Company], located at [Client.Company.Address], effective on [Effective.Date]. It shall continue for a period of [Number.Years] years or until terminated as provided by this CONTRACT. PandaTip: Outline your services here. PandaTip: Identify the terms of confidentiality and let your clients’ know that their information is safe with you. PandaTip: In order for your company to do their job right, you must have the client’s full cooperation. Outline those points here. PandaTip: This is for the protection of your company. PandaTip: You can identify how long this contract will last in this section or you can state the reasons for which one party may want to terminate this contract. This agreement shall be construed in accordance with the laws of the State of [State]. This sets forth the entire agreement between [Client.Company] and [Sender.Company]. None of the terms within this business contract shall be amended, except in writing and signed by both parties.